The Resource Marketing® company was founded in digital. Owned by a parent company with 20 years of experience in display and promotional marketing, the company has forged its way into the digital market from 1996. For those of you in the media business, there is a lot to learn from their success. How did they gain such large enterprise clients? You might be surprised to find out what they did, or didn’t do. In fact, you might find out that you’re capable of winning large clients too with the right digital marketing strategies. Read on to learn more about what they do. This company brings brands to life. To achieve branding success, they emphasize creativity and state of the art technology. Their mission and core values definition is simple and easy to understand. If you are planning to start a successful business, a clear, concise mission is the place to start. Clearly, they have laid it out from their early beginnings. Any entrepreneur starting a production company or any other business knows that having a great product is only half of the battle to success. Promotion and marketing are what give your business traction to successfully release any product. Resource Marketing helps you design a marketing strategy to give your business direction and greater chances at success. The company uses their plentiful experience to help you devise an effective marketing plan to give your brand traction in the market. At Resource Marketing®, they have been using promotional products for years. These products allow customers to remember your brand. Whether it is promotional t-shirts, mugs, pens, caps or bags, the cost per impression is very reasonable. Surely, this is something you can take-away to your business or client’s business. Unlike most companies in the industry, Resource Marketing® has its own Content Deliver Network to support client IT requirements. Their CDN is built to support high traffic websites, delivering them with top notch performance around the world. Certainly, not everyone can build this kind of a network. However, investing in an infrastructure to provide quality service is something to be taken seriously. It offers a competitive advantage over other providers. While some companies may specialize in one aspect of marketing, this company has a multi-step approach. They conduct marketing audits to develop a brand strategy, clean up your customer interface, optimize your website and create media to tell your story, which is perfect for any relocating business. Furthermore, they distribute your story across low-cost channels to save you money. Clearly, they are providing an end to end solution that enterprise customers appreciate. When companies work with Resource Marketing, they have the benefit of having all marketing strategies tailored to their particular business goals and objectives. This is important. 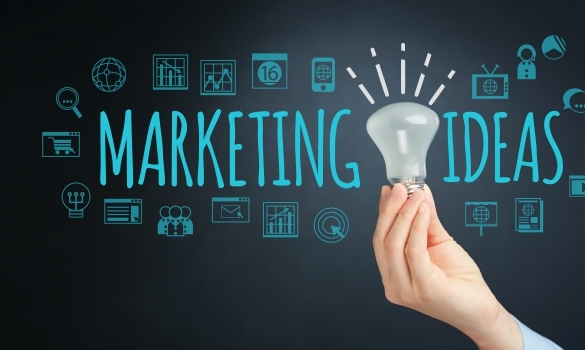 As a business owner, you may not be all that informed on the latest and greatest marketing tactics that will help your business grow and expand. But, Resource Marketing professionals are. Then, they take that expert marketing knowledge and use it in conjunction with their knowledge about the client’s business to determine the best way to help that business achieve its goals, no matter how big or small. These personalized marketing services are sure to benefit your bottom line, which makes Resource Marketing services worth the investment. Resource Marketing® proudly displays their client list, success stories and statistics. Whether it is hosting the World Cup website, one of their employees being recognized for being the best brand strategist, or supporting millions of hits on an eCommerce store, they display what they can do. Sometimes, to win a large client is to show them that you have successfully handled a business with similar needs. After all, your work should be something to show case. Using these brand building strategies, Resource Marketing® has won many enterprise clients. Establishing their mission, getting customers to remember brands and investing in the right technology helped them get started. Then, they continued to provide a full range of marketing services while showcasing their success. Learning from their marketing approach and new digital marketing ideas, other business owners like yourself can land large clients too.